A unique exhibition for the training of people inside the digital factoryof the future. At the 18th edition of Mecspe people will be in contact with the extensive innovation in the field of 4.0 manufacturing. The trade fair event promoted by Senaf has also announced the creation of MECSPE Bari in 2019. 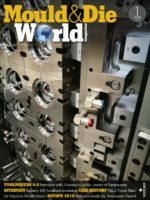 How is Made in Italy fairing and what will 2019 have in store for the country’s SME’s? The latest Istat data on the period spanning 2014-2017 indicates that the added value of Italy’s manufacturing sector is up 10%. Data are even more encouraging if we consider a longer period: the Made in Italy manufacturing industry surplus is now the fifth largest in the world, indeed it has doubled over the last decade, from 53 billion Euros in 2007 to 97 billion in 2017. MECSPE is moving in the same direction. 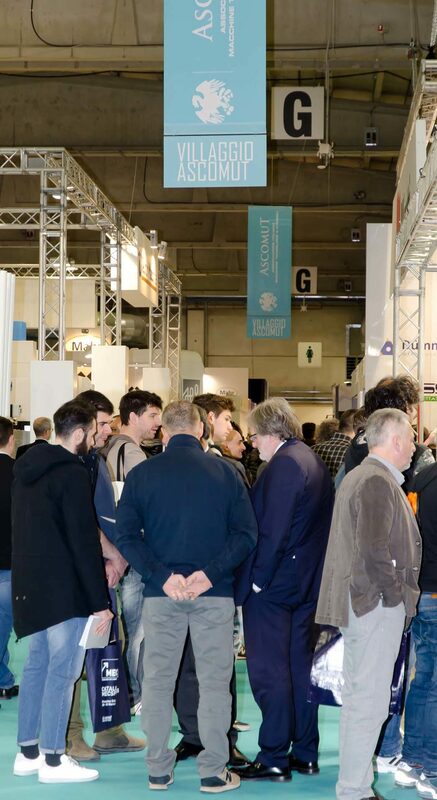 Italy’s first 4.0 manufacturing event promoted by Senaf (Fiere di Parma, from 28th to 30th March 2019) is on the cutting edge this year more than ever before, not only by exhibiting all the latest innovations organised into different industrial sectors, but also by offering “person-centred” digitalisation solutions, with suitable support for training and investments into human capital, for the creation of skills they are capable of applying. And now, Senaf has doubled its commitment, announcing the creation of a new edition of MECSPE in Bari, scheduled to take place from 28th to 30th November 2019 at the Nuova Fiera del Levante Exhibition Centre. It aims to become the reference event for central-southern Italy and the Mediterranean basin, for the development of innovation and 4.0 themes, interfacing with the traditional Parma-based event, now in its 18th edition. 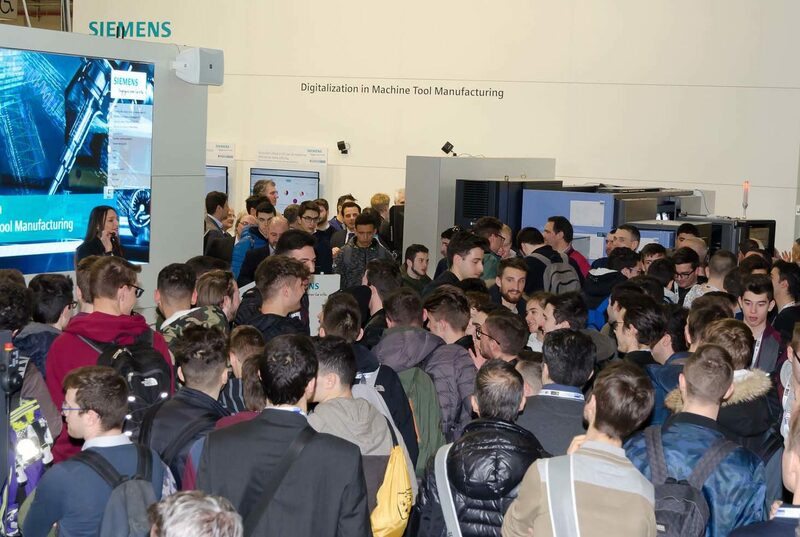 An array of 4.0 initiatives have been scheduled in March, starting with the “’Innovation Tunnel”, the new heart of the trade fair event (pavilion 4, South Entrance), where visitors can experience a unique and unforgettable full-immersion multi-sensory experience and discover the path for the future of intelligent factories. An unprecedented event, developed in collaboration with the Intelligent Factory Cluster (IFC), bringing together more than 300 members, including businesses, universities, research centres and other stakeholders, showcasing Lighthouse Plants, 4 projects by Ansaldo Energia, ABB, Tenova/ORI Martin e Hitachi Rail, selected by the Cluster on behalf of the Ministry of Economic Development as representing the very best of Italian know-how, for exhibition in Italy and abroad. Veritable production plants just waiting to be explored, based on the development and application of digital technologies set forth in the 4.0 Industrial Plan. In addition to organisational and technological aspects, these plants focus on a number of other principles: the centrality of people, with full respect of their dignity and safety; the need for collaboration as the only true way for reinforcing competitiveness and company value, as well as environmental compatibility. In addition to the Innovation Tunnel, MECSPE aims to be a simple, fluid and involving experience for visitors, companies and exhibitors, thanks to the synergy of 12 themed halls, with total coverage of materials, machinery and technologies. Specifically, mechanical subcontracting, involving over 300 companies at the trade fair, is the second largest sector of MECSPE and occupies pavilions 7 and 8, remaining a veritable hub for the entire exhibition event. In pavilion 7 subcontractors are also largely present as members of the sector’s major Associations, including Confartigianato, CNA and Apindustria, all important collectors and promoters of initiatives focused on the development of innovation and partnerships, for small manufacturers of excellence. The Non ferrous materials and alloy sector in pavilion 8 will present innovative solutions, providing visitors with interesting inspiration for technological transfer, while also demonstrating the latest paradigms for the design and construction of light products. The initiative presents itself at the pavilion dedicated to innovative materials and lightening, in response to the requirements of MECSPE visitors, on the look-out for more specific solutions. Pavilion 6 will be the new venue of the Digital factory Exhibition, an area where it will be possible to get to grips with more efficient processes, remarkably lower costs and production times, embracing the new frontiers of factory digitalisation for the manufacture of intelligent products: from IT to industrial Sensors, Cloud Manufacturing, automatic identification Technologies (RFID – NFC Near Field Communication), Software and machinery capable of wireless communication via IoT, Internet of Things). At Pavilion 4.1, located between 3 and 5, leading directly on from the South Entrance, focus will be on Electronic Subcontracting, where assembly and planning companies will be able to present themselves in their official capacity as suppliers and not just as potential customers.